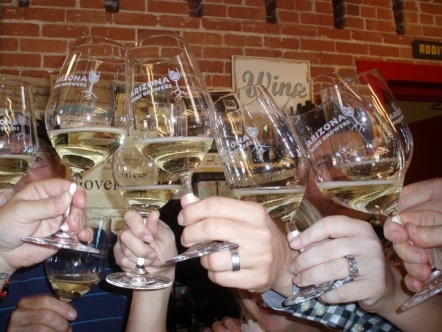 Arizona is quickly becoming known for its wine industry. As part of the emerging wine culture of the area, Fountain Hills will host the Phoenix-area “Great Grape Stomp” to be held the weekend of November 5th. The family-oriented event will include a 5K race/walk, a 2K kids walk and a series of tasting, dining and entertainment events featuring a significant sampling from Arizona’s 200+ vineyards. life. For more information about the upcoming “Stomp” go to www.arizonawine.org. and Farmer’s Market, followed by a wine tasting event by Lawrence Dunham Vineyards and Sonoran Lifestyle Real Estate, 4:30-6:00 pm. Cost is $8 per flight and tickets to the Saturday Stomp event will be available. Later that evening, enjoy a wine makers dinner at 6:30-8:00 pm at Sofrita Restaurant co-hosted by Lawrence Dunham Vineyards. The dinner includes a 4 wine pairings with dinner and desert for $55. 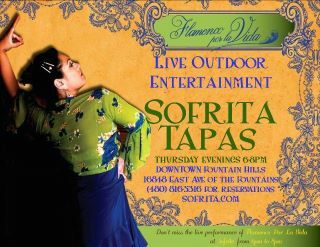 For dinner reservations call 480-816-5316. Both events take place on the Avenue of the Fountains. Fountain Hills-The Center of the Wine Universe?? of the arid McDowell Mountains, is at least an hour and half drive from any notable vineyards. But here’s the irony. 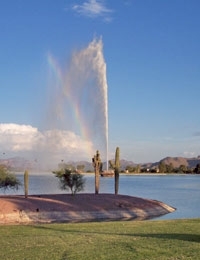 Many local residents are under the misguided belief that Fountain Hills is wine country! Now, to be fair, I have seen a few meager grape vines at private homes during my 25 years as a Realtor in Fountain Hills. However, these aren’t the bountiful vines serious vintners work so hard to nurture on their way to delivering a consistent bottling of wine. All that being said, spare yourself the grief and don’t try to debate with any of the local wine enthusiasts that Fountain Hills is anything but a respectable haven for great wines, wine aficionados and wine events. 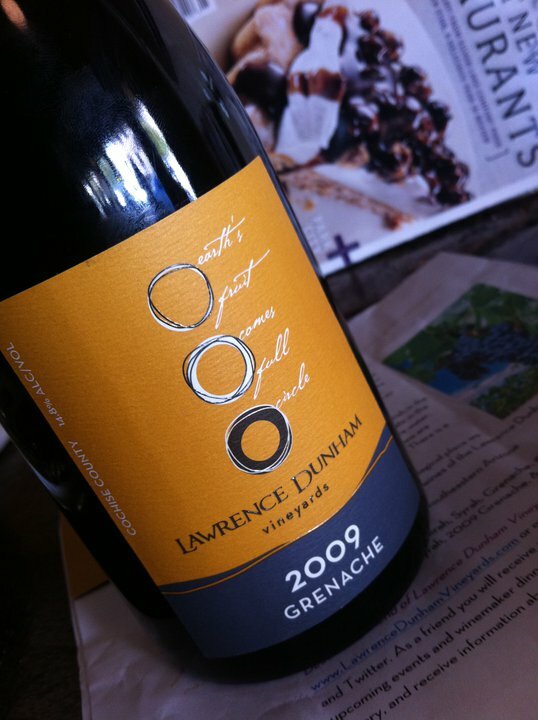 Lawrence Dunham Vineyards Wines-Part of the Fountain Hills Wine Culture! And for sure don’t try to tell Peggy and Curt Dunham, the owners of Lawrence Dunham Winery in the Chiricaua Mountains of Southern Arizona, that Fountain Hills isn’t a good place to promote and sell fine wines. Their schedule of release and tasting events are always well attended. The bulk of their founders group, The Chiricahua Circle is made up of Fountain Hills residents who eagerly await each event and opportunity to taste the latest samplings. If the hands-on vineyard experience appeals to you, check out the Chiracahua Circle Founder’s Guild at www.Lawrencedunhamvineyard.com. Finally, it would be sheer folly to tell the folks who plan to attend the Fountain Hills Great Grape Stomp that “stomping grapes” in Fountain Hills might be a little out of place among the Saguaro and Prickly Pear cactus. The participants in the “Stomp” might be devastated if you even suggested that Fountain Hills isn’t the center of the wine industry…at least for that week-end! estate opportunities or the local events and celebrations , check out www.TheSonoranLifestyle.com. Go to “calendar” for weekly event details. Or, call me, Dori Wittrig, Designated Broker for Sonoran Lifestyle Real Estate at 602-558-5901. I love telling folks about the community of Fountain Hills and the mountain and desert lifestyle we enjoy!